When it comes to building a trail rig, the old adage of "K.I.S.S." (Keep It Simple, Stupid) shouldn’t be ignored. When you're out in the middle of nowhere, the last thing you want is added complexity by design. 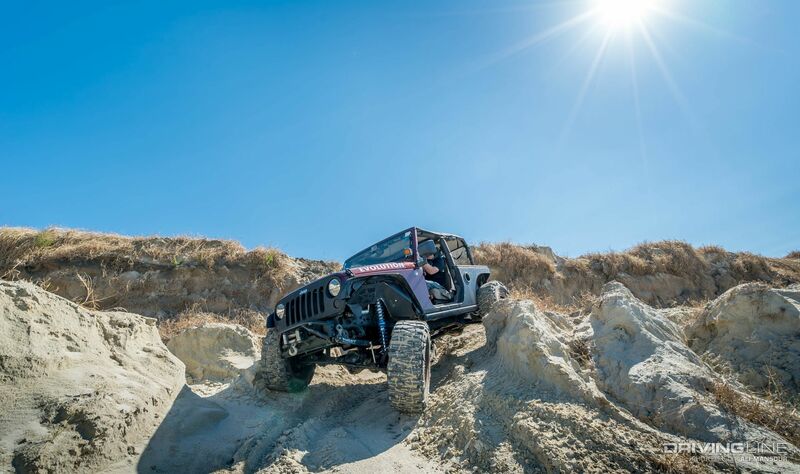 For nearly 30 years, the Jeep Wrangler has been the poster child for rugged and simplistic off-road machines. After all, it’s the only modern 4x4 you can purchase with removable doors, top and solid front and rear axles. 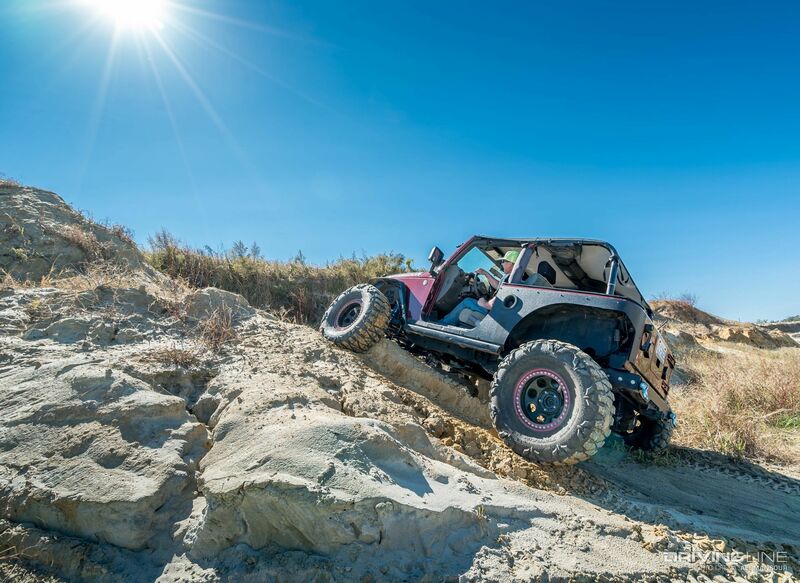 While the advanced electronics in the 2007 to current Wrangler platform are known to cause a little headache from time to time, it hasn’t stopped ‘wheelers from modifying the platform to extreme measures. Nearing 10 years in production, the early models of the JK are finally settling in price. This has opened up the platform for more extreme and trail-dedicated build strategies. A great example of this can be seen with Max DurJava’s 2007 Jeep Wrangler. 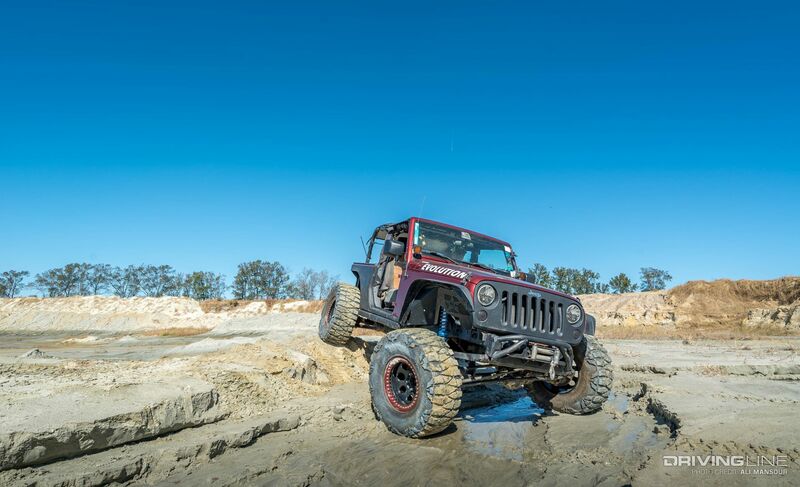 The stretched two-door has been a continual work-in-progress (like most Jeeps), with the majority of the work coming from the Jeep builders at Low Range 4x4 in Wilmington, North Carolina. 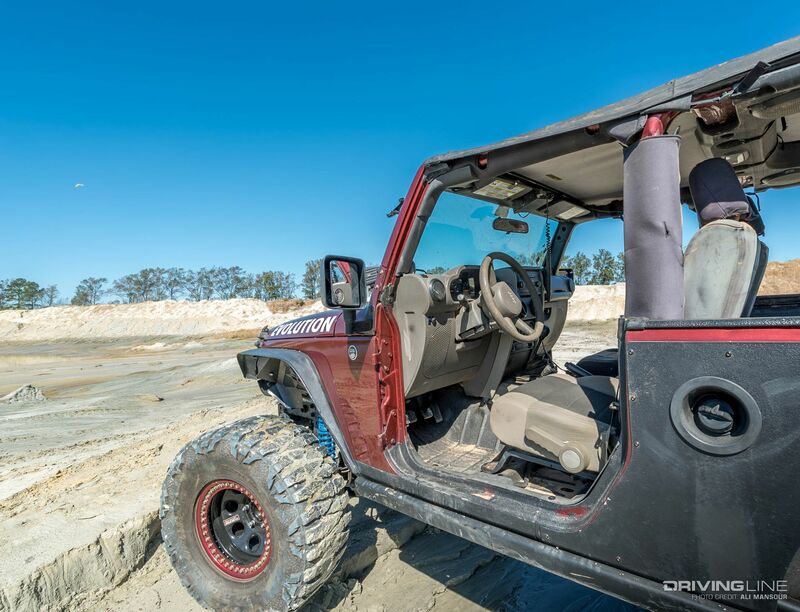 While there’s still more to be done to this well-built two door, we wanted to show you this killer setup. The 3.8L engine isn’t a fan favorite among many Jeep enthusiasts. However, when you start plucking weight from the Wrangler, the modest V-6 doesn’t feel as anemic. DurJava didn’t want to push his luck by boosting the original engine, so it remains mostly stock. In true purist fashion, this JK doesn’t have a power-robbing automatic, but rather a six-speed manual gearbox. Splitting power between the axles is an NVG231 transfer case. A set of Tom Wood’s Custom Drive Shafts replace the stock drivelines. Both ‘shafts are fit with 1310 Double Cardan joints at the T-case and 1310 U-joints at the differentials. 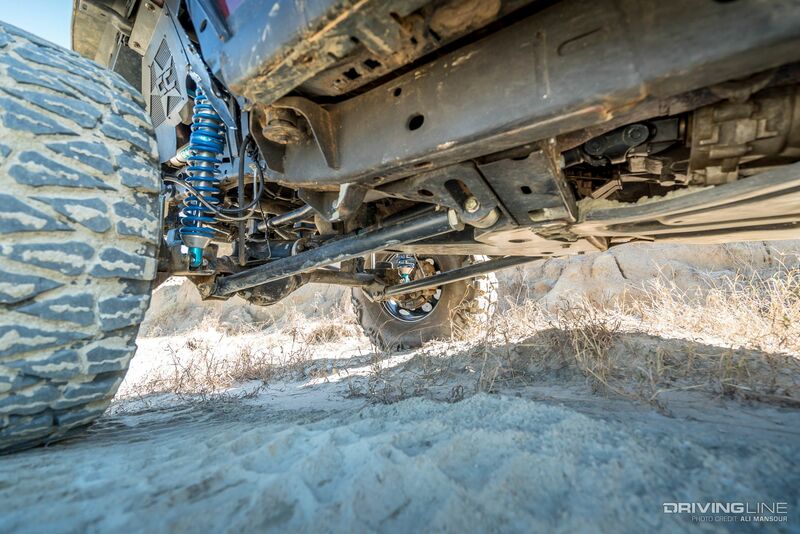 Up front, you’ll find a high-pinion Dana 44 front axle, which was transplanted from Rubicon JK. A sleeve and gusset kit from EVO Manufacturing was installed to fortify the front end, while 5.13 gears were paired with the stock E-Locker. A steering upgrade is next on the list as the fully locked front end can be a handful to steer when the Mud Grapplers take hold. Gone are the original front coil buckets and short-arm suspension, and in their place are EVO MFG coilover towers and long-arm kit. 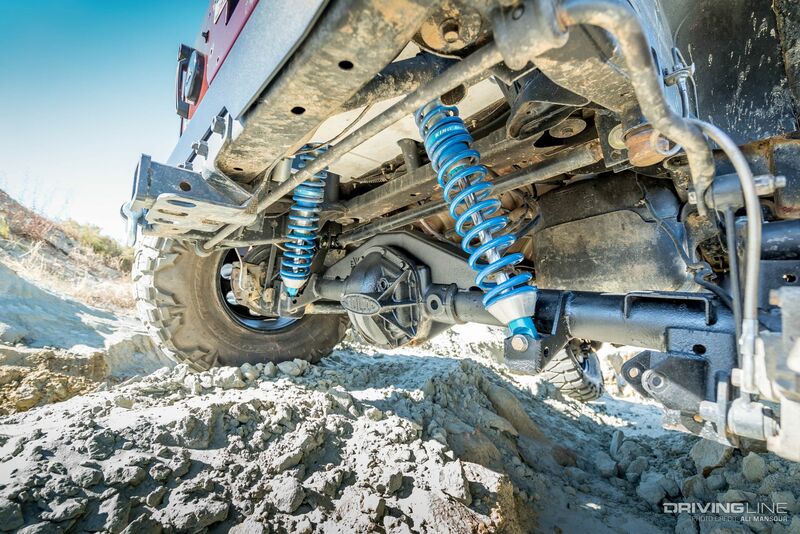 This shock setup secures a 2.0, 12-inch-travel King coilover, which has been built to EVO-spec. The inner fender kit is an all-aluminum setup from Crawler Conceptz. Out back, an EVO MFG truss braces the Rubicon Dana 44 rear axlehousing. As is the case with the front, a set of 5.13 differential gears were mated to the Rubicon’s electronic locker. Keeping the axle centered is a custom track bar. 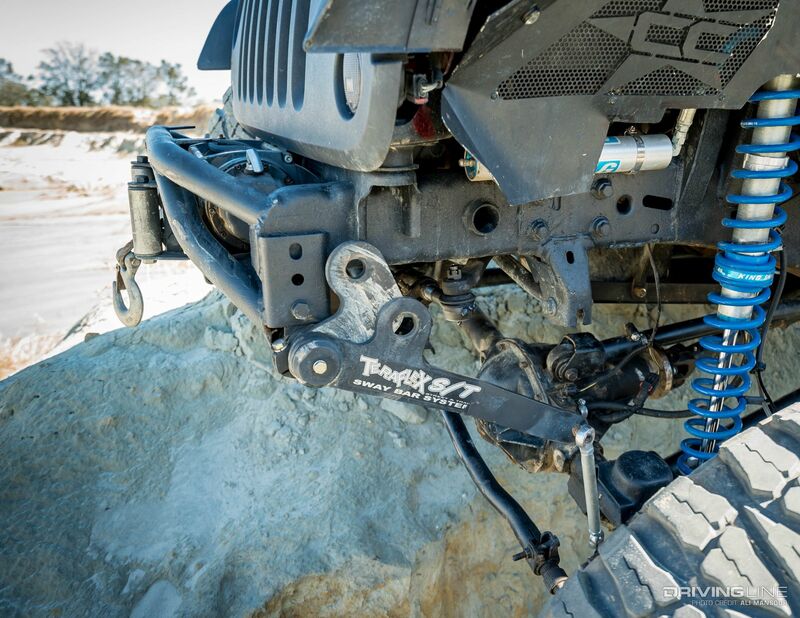 The EVO long arm kit utilizes the stock control arm mounts on the JK’s frame. This setup pushes the rear axle back roughly eight inches, giving the two door a more stable 104-inch wheelbase. The 0.250-wall lower arms secure Johnny Joints at each end, making them durable and easy to service. 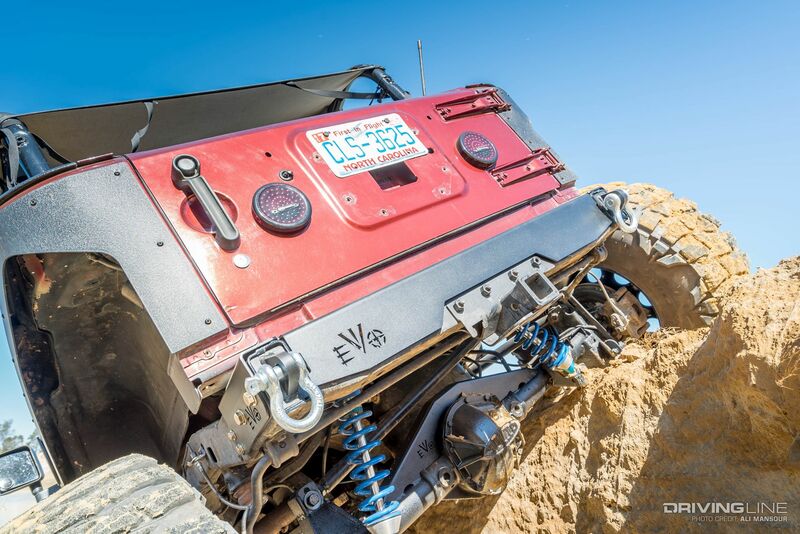 With the rear axle pushed so far back, the Jeep’s primary builders at Low Range 4x4 had to come up with a new way of supporting the rear of the JK. To fit DurJava’s needs and wants, Low Range owner Kelly Carter crafted a custom coilover setup that secures 12-inch-travel King coilovers. 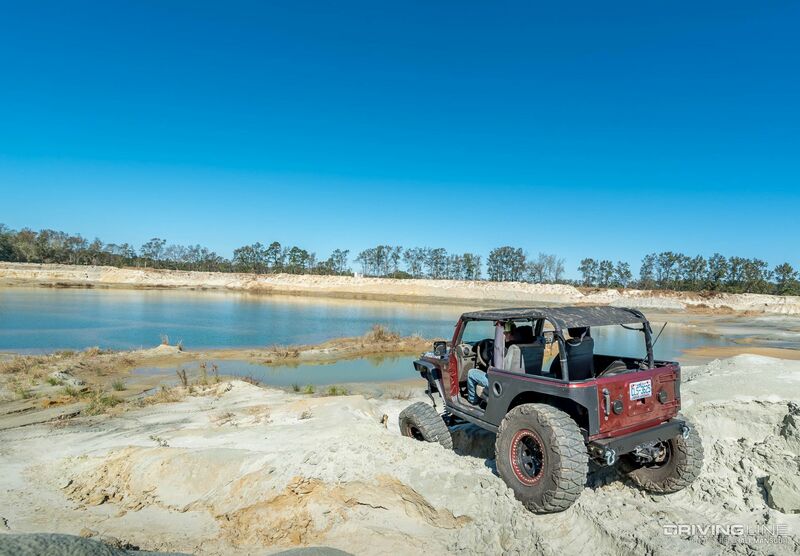 To make sure the Jeep had a nice balance of travel, the EVO-spec coilovers were sent through the rear portion of the Jeep’s tub. The custom tower and block-plate system is slated to get more work as a custom bed-mounted tire carrier is in the works. Pushing the rear axle back meant new body lines were necessary to make room for the tires. To keep the weight down and the tub looking clean, aluminum stretch corners from EVO MFG were installed. 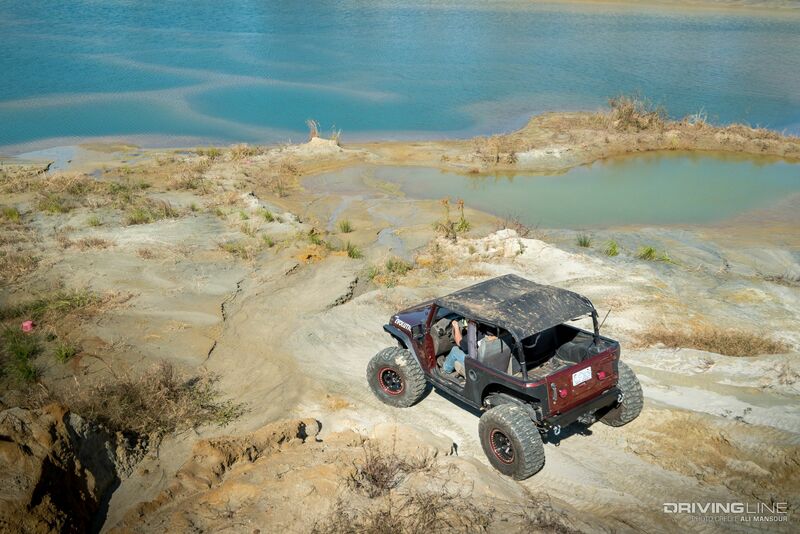 This Jeep spends most of its time in the southeast trails, which often requires an aggressive mud-terrain tire. This was accomplished by a set of 37x13.50R17 Nitto Mud Grapplers. To ensure he could get the most performance possible out of the extreme treads, a set of 17x9 MRW beadlock wheels were installed. While the four-door Unlimited JK seems to be the most common JK build platform, the two-door is still one of our favorites for ‘wheeling. 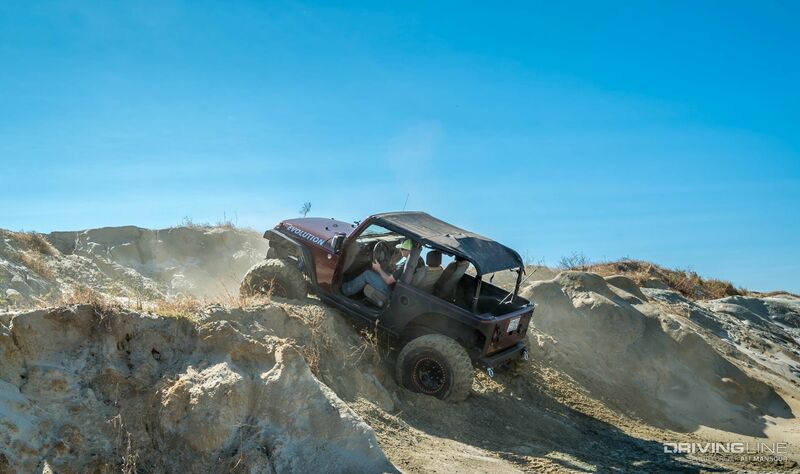 This setup is proof that you don’t need a V-8 and 1-ton axles to have a fun and functional trail JK. 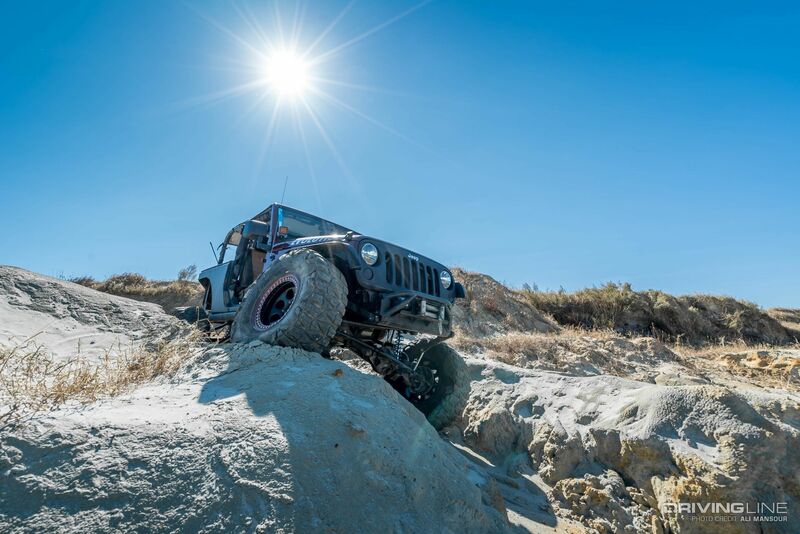 And don't forget to check out the gallery below for more shots of Max DurJava's JK!